 FM Approvals has been made aware of a falsified document issued on FM Approvals’ letterhead. The image of the document cover page is attached as Figure 1. The document represented by the cover page image in Figure 1 is a falsification of an authentic FM Approval Report. The claim of FM Approval for any of the products identified on the cover page in Figure 1 for the company identified below is false. In fact, there are no FM Approved products manufactured by Weifang Gaobiao Metal Products Co., Ltd.
Weifang Gaobiao Metal Products Co., Ltd.
Ductile Iron Couplings and Fittings. Sizes 33 mm through 325 mm NPS. The products described in the report referenced in Figure 1 have never been tested or certified as FM Approved. Since there is no evidence these products have ever been tested to the rigorous requirements of FM Approvals, we advise that use of these products presents a serious property risk for the user. This document represented by the cover page image above is a falsification of an actual FM Approvals’ Approval Report. This document has been altered and misrepresents the company’s products as FM Approved. 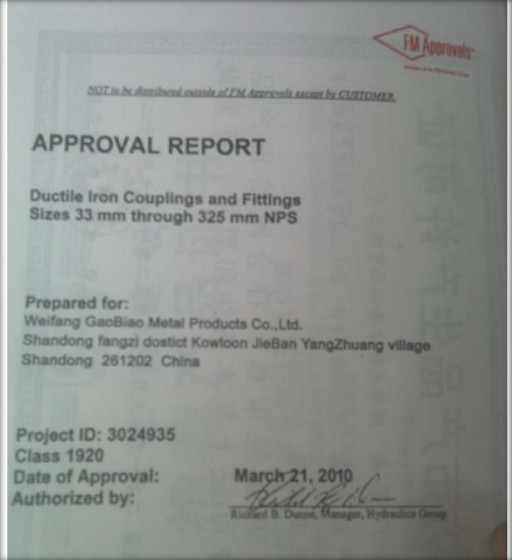 No products manufactured by Weifang Gaobiao Metal Products Co., Ltd. have been certified by FM Approvals. Any claims otherwise are false.